Before I begin this post, I’d like to share a disclaimer: My mother, father, grandparents, brothers & I have been making Christmas cookies for decades with great success. 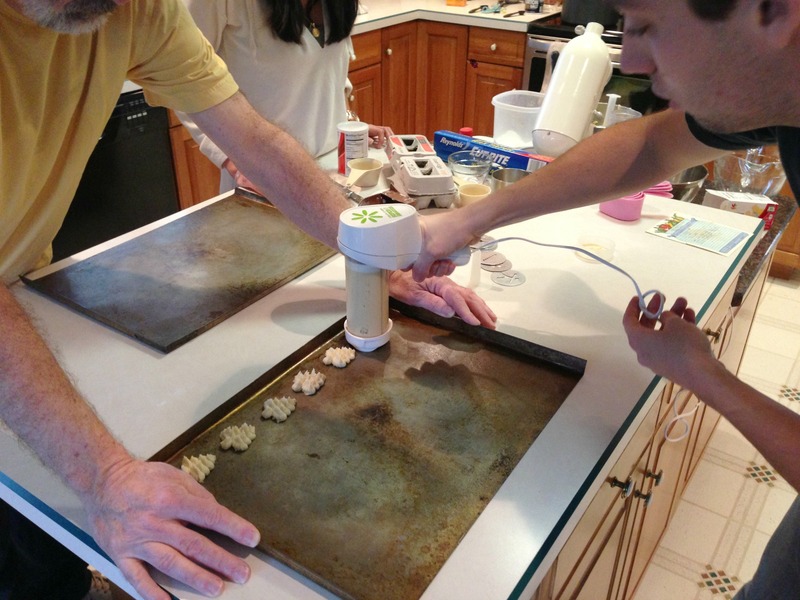 I come from a long line of Christmas-cookie-bakers. We take a day or two every December to come together (as many of us as are around) to whip up batches of our family standards – Chocolate Chip Cookies, Butter Cookies, Snickerdoodles, Roll-Outs & Spritzes, among others. Every year we make cookies, every year they are delicious. This year, we tried to make made cookies. It may (or may not) have gone exactly as planned. We may (or may not) have had a few disastrous trays of Butter & Chocolate Chip cookies for inexplicable reasons (It was definitely my brother’s fault). Suffice it to say, this post will not include photos of perfectly baked Christmas cookies. 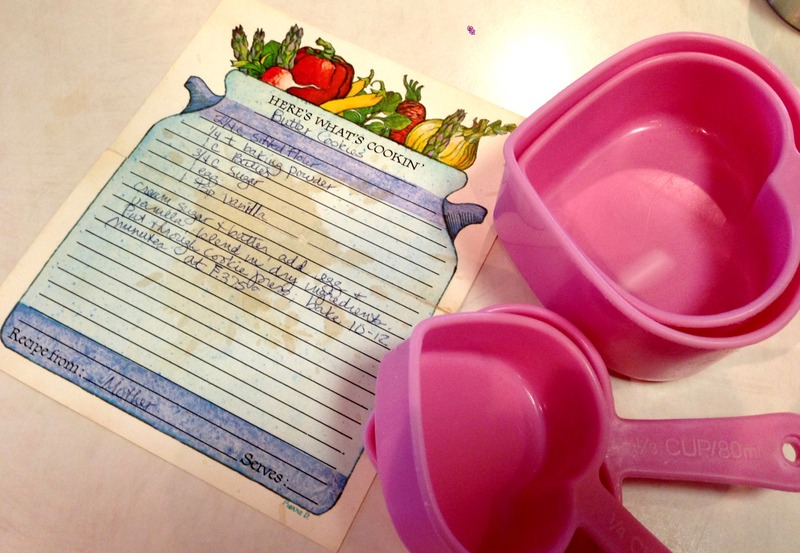 A well used & loved recipe for my Mommom’s Butter Cookies. Any recipe that calls for two sticks of butter is sure to be a win. It really doesn’t matter, though. It’s not about how the cookies come out, it’s who you make your cookies with. (This explanation got me off the hook when I came home with less than the expected multiple tins-full of cookies for my hubby to snack on). 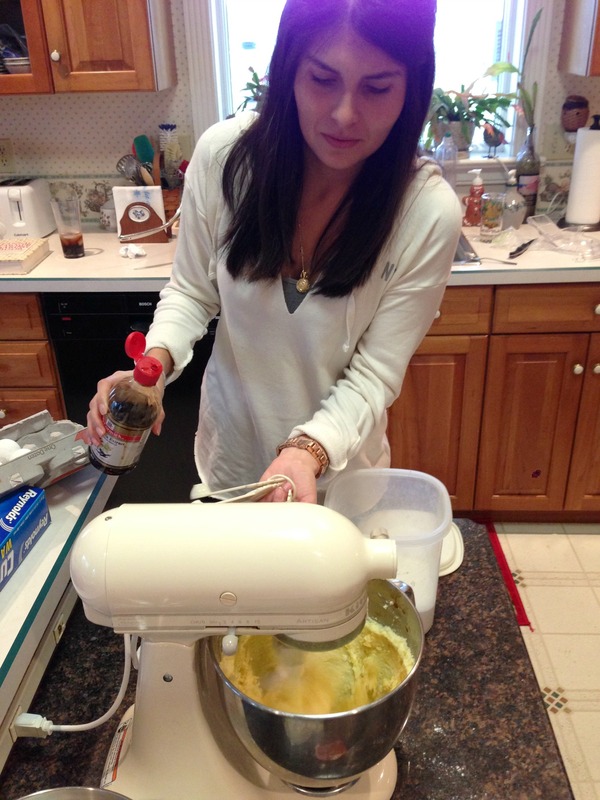 My lovely sister-in-law carefully measuring ingredients – clearly she is innocent in this debacle. I love going home at Christmas time and admiring/oogling over my mother’s huge collection of beautiful holiday decorations. I love the Sunday in December when we get together to bake & happily make plans for the upcoming holiday. This past Sunday, after an especially trying week and the unbelievably horrific events of Friday – I loved it even more. Even though my drive to Pennsylvania & then back to New Jersey was dreary and rainy. Even though my brother ruined the chocolate chip cookies our cookies were less-than-adequate-for-human-consumption. Baking is a group effort in our home. The culprit is the one wielding the cookie gun. Time with family is a treasure. 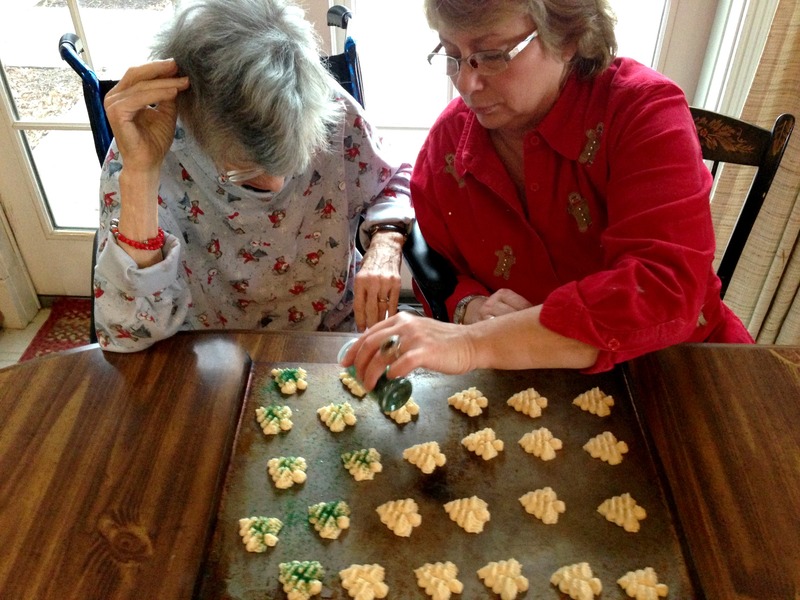 My mother, and her mother, decorating the butter cookies. 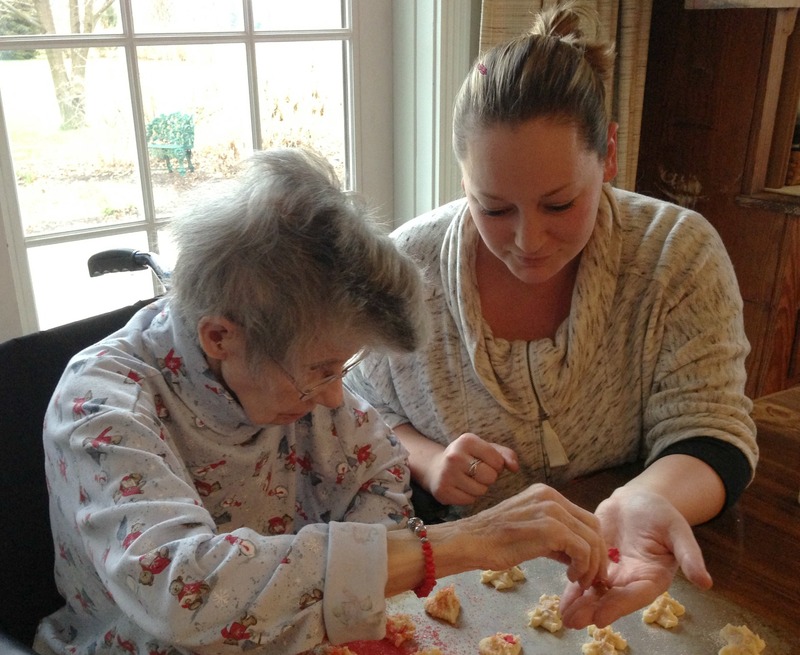 Decorating butter cookies with your grandmother is a blessing, and must never be taken for granted. The more sugar the better, I say. Knowing that within the next week we will truly all be together – when our Californian contingent flies home for the holiday – is reason to celebrate. P.S. After I left, my family continued baking and suddenly all the cookies came out great. Either I was the true culprit, and blaming my little brother is unfair, or they were actually just holding out on me so they could hoard all the GOOD cookies for themselves. I choose the latter option, what do you think?